It was a bold move from Nintendo to launch the GameCube in 2001 without a Mario game. The tables were turned so that Mario's link to the launch was through new series Luigi's Mansion, putting the green half of the Mario Bros. in his first starring role. Super Mario Sunshine arrived the following year in 2002, six years after Super Mario 64 showed the world how 3D platformers should be done. No pressure then. Gamers eagerly waited to see what Shigeru Miyamoto had cooked up for this long awaited follow-up in the Mario series. The game starts with Mario packing his blue dungarees to jet off to the sun-kissed tropical Isle Delfino for a well-earned vacation with Princess Peach and some Toads. Of course the relaxation doesn't last long as a Mario imposter steals the coveted Shine Sprites and covers the island in toxic slime. Thankfully Mario is joined by a robotic backpack named FLUDD (Flash Liquidizing Ultra Dousing Device) so he can clean up the slimy mess and reach new areas. Using different nozzles Mario can even use FLUDD as a jetpack which helps with tricky platforming sections and to reach higher ground. Yoshi even shows up in the game for Mario to ride on. While Super Mario Sunshine was received positively by critics of its day, it wasn't without some annoying quirks. Compared to the sublime Super Mario 64 and Super Mario Galaxy which would follow on the Wii all those years later, Sunshine does lack a bit of polish, as if it were rushed to market. The in-game camera struggles at times, the game story and voice-over work isn't the best and on the whole the game arguably doesn't do anything to shake up the 3D platformer genre in the sense that Mario 64 did. That's not to say that Sunshine isn't a whole heap of fun. Exploring the island of Delfino at a leisurely pace is a delight and the abstract secret stages where Mario is stripped of his FLUDD hovering abilities are pure platforming joy. The game has definitely left fond memories with a number of our readers, as well as our very own Andrew Karklins who wrote warmly of his Sunshine memories recently. Sunshine's legacy lives on with the tropical locations of Delfino represented in the Mario Kart series from Double Dash to the present day. In a sense Sunshine has been consigned to a mere footnote in Nintendo's rich history, but we still love to bask in its warmth from time to time. We'll leave you with an impressive speed-run from 2013's Summer Games Done Quick. Shine GET! Loved this game, especially Noki Bay. Wish they had a suit or something that fir better into the Mario universe than FLUDD though. I don't care if it isn't a good game by the majority of fans, I still consider it an amazing game in my book. It was fun to explore those areas, FLUDD was somewhat innovating to use (honestly, without it, I would then agree that the game didn't do anything new to shake up the 3D formula), and I personally find the VA-ing to be entertaining, if not good. (I've seen worse VA, but this isn't bad to me). Best Mario game and best 3D Mario game ever. "...on the whole the game arguably doesn't do anything to shake up the 3D platformer genre in the sense that Mario 64 did." Odd. I think the same think about Galaxy 1 and 2. Forgot to mention blue coins as a flaw (or at least, how they were handled, with no proper checklist). But overall, this was a great game, and the other template that a new 3D Mario has to follow (and improve upon). I never really got into Sunshine, one of my least favorite Mario games out there. I just couldn't enjoy it. I try it again once in a while but it never fails to put me off with its clunky controls. It still feels this game was made half a decade too early. If it had had motion controls, I would probably have greatly enjoyed the water spouting mechanic. This should have been part of the New Play Control series but somehow never was. If it had been, I might have liked it after all. Now it feels like a distraction from the platforming and the exploration of the wonderfully detailed levels. Definitely my favorite 3D Mario. The game had a ton of charm to it and it held up pretty well, too. It still looks really nice in my opinion. Also Piantas. Love those guys. The cut scenes and story really killed this game for me. Completely campy like the later Sonic Adventure titles. I might be kicked out of the internet for good for saying this, but I honestly didn't enjoy Sunshine all that much. I feel like there was an awesome game trying to peek through, but it never properly got there with all the problems the gane had, with its awful camera and (in my opinion) seriously clunky physics. It just didn't feel like something worthy of all the praise it got, even with its great visulas for the time. I'm surprised your mario sunshine article was so short and lacking. This was the one I was looking forward to the most. SMS is easily the greatest 3d plaform adventure game ever made and my personal favourite mario game. Sunshine is so fluid and perfect in every way. Haters can hate, but that doesn't change the quality. The highest quality adventure platformer on the market. I'd love to see this released in HD or at a minimum on the eshop. @Takerkaneanite6 I would definitely recommend it. Some would argue that it's the worst 3D Mario, but being the worst 3D Mario is still an amazing game. I thoroughly enjoyed it. The levels are more open and spread out like Mario 64, which I preferred over the linear style of Mario Galaxy. It was probably my favorite GameCube game. The one 3D Mario platformer I've yet to try. This should get the proper HD treatmeat a la The Wind Waker. @Rensch I agree and disagree. I actually loved everything about this game EXCEPT the coin hunting parts. To me this game was far superior to 64 and the Galaxy games. However, I do agree with the motion control thoughts (mostly after falling in love with how Splatoon controls) I'd LOVE to see a Sunshine HD remake when the gamepad tilt controls of Splatoon are integrated. Loved this game....my 2nd favorite 3D Mario. I like it more than both Galaxy games, but not as much as SM64. Looks awful to me so I never tried it. Collecting GC games for awesome playing on the Wii but not this. Maybe one day. Just doesn't seem appealing. I love FLUDD, the graphics, and the level design. Above all the controls are possibly my favorite of any 3D platformer. The game isn't perfect but the good far outweighs the bad. GameCube had at least 50 great games but I'd rank this right near the top. Its a good game, but overall the level design is lacking. This game could really use a sequel/remake/remaster. @lateral_centro I know that feel bro. I can barely remember this game as my older brother and dad used to play it when I was small but I do remember the music and the fun they had! This is the worst Mario game ever, when it comes to platformers. The controls are off, it has water everywhere and collecting 100 coins is a chore, for the coins are sparse in this game. And the blue coins... Hoo boy. Tried playing it twice, and quit both times. Sunshine > 64 >>> SMG > SMG2. Loved 64, loved Sunshine more, got SMG and just did not get into it at all. Got SMG2 on Wii U VC when it was discounted, got some of the stars and then just subconsciously drifted away to other games - clearly it wasn't holding my interest. Also: Banjo games > 3D Mario games. Best 3d Mario Game hands down. I never got to play this one. I've been hoping for either a HD remake or a VC entry. i credit nintendo for taking chances on one of there biggest ips and taking a chance with this. It is very good. Probably one of the most challenging mario games. I really hope it gets released on eshop or remastered at some point. Maybe even a modern direct sequel? Love it. waiting for the HD remake it deserves. No idea why people are ripping on Sunshine's camera, I thought it was one of the best cameras ever. It's freely controllable and you can see pretty much everywhere with it. Much better than 64's, which only works in increments, Galaxy's, which is only 4 directional, and 3D Land's which is fixed. 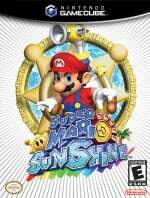 Anyway, Sunshine is one of the best Marios of all time, it's really fun, quirky, and open. Why have we not had a HD remake of this?!! I actually enjoyed this game a lot more than 3D World. And I enjoyed 3D World a lot. oh man, this is by far my favourite Mario game. So many fond memories and so many lost lives on those damn platforming levels. Amazing. I haven't played this game, but I really want to. I remember when it first came out and the kids everywhere were talking about it along with Melee. After playing 64 and Galaxy, I feel incomplete not having at least tried this. @Alexface Agreed! I would grab a HD copy of this inmediately... specially now that my brother has our GC and all our games. For me, 64 wasn't that impressive because I didn't play it right when it came out, but Sunshine, was amazing.. I spent hours exploring and finding Blue Coins. I think that this one will always be the best 3D Mario game for me, as it has a very special place in my childhood. I thought this was a great game, and I even like it better than Super Mario 64. There's even some elements I like in Sunshine better than both Galaxy games. I felt I had more control of Mario, since the controls felt more loose in Sunshine than in 64 and both Galaxy games. The camera was more controllable than 64 and both Galaxy games. Fludd was also fun to use, especially the turbo and rocket nozzles. The game is more challenging at times. The voice acting, during the cutscenes, was interesting to hear, and I would like to see them experiment with it in future games. I don't know if I prefer Sunshine over Galaxy 1 and 2, but Sunshine is still a great game. Dang this makes me want an HD remake. I personally love the game (with the exception of one obscure level with a lily pad and a long "river"). And strangely the parts with no FLUDD are the best ones. This is a great game indeed, some very challenging levels too- added some nice ideas and at the time I remember being blown away by how the water looked! Idk what game everybody else was playin but i enjoyed mario sunshine alot i didn't have camera issues or glitches. I think sunshine improved a lot compared to mario 64 but thats just me! @lateral_centro never got the poison river one. After finally getting Yoshi all the way to the Island on the boats, I dropped down the tube. Never could get every coin but finally made it to the end alive. Took the exit pipe like an idiot. Pachinko I did once after an insane amount of tries. You can access the Pachinko machine with either the hover or rocket nozzles. Hover is much more useful.